The new ALINE display spotlight from Display Lighting incorporates one, two or three high power LEDs that are carefully constructed into a high quality contemporary luminaire. 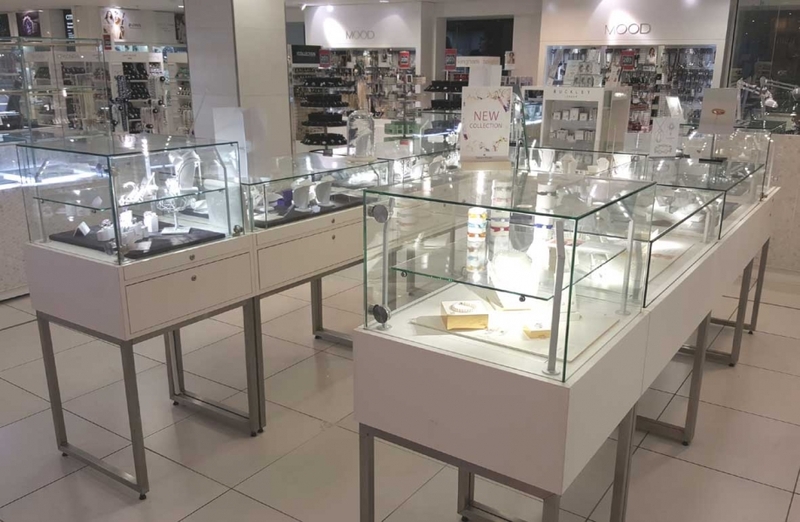 The LEDs are aligned vertically to ensure that the spotlights are as unobtrusive as possible within your showcase so that your products are illuminated to their full potential without obstructions. The ALINE spotlights are available in a high quality aluminium anodised finishes with a selection of three different colours of white LEDs so that there is an ALINE spotlight to suit every showcase display. There are two different PLUG & disPLAY power supply options to make wiring and installation as quick and easy as possible. Each of the driver options are supplied with a junction box for quick and easy assembly and installation.